Invert-x - AJ Scarcella - Designer and maker of things. 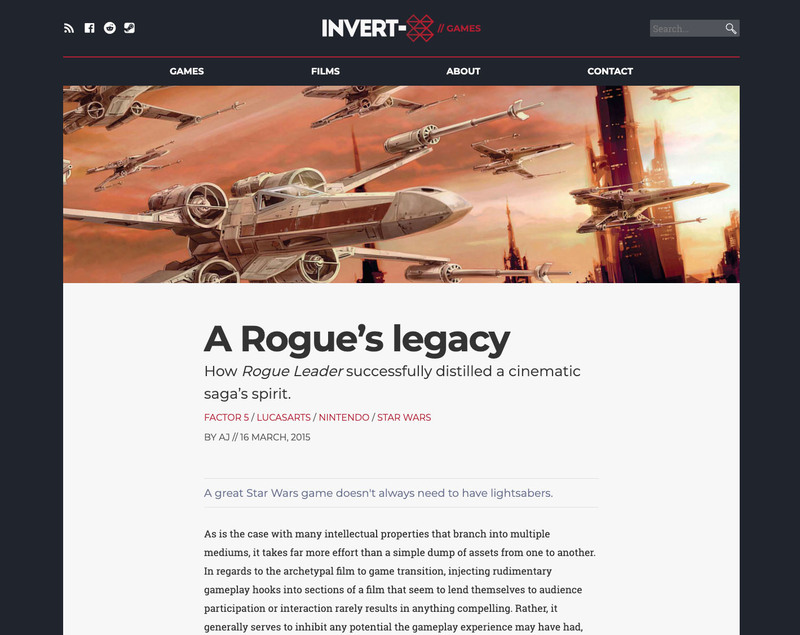 Invert-x is (currently) a short-form, opinion column style blog between two writers. Topics are decided upon each week, and the writers create a 500 word opinion on the subject. We don’t adopt a specific viewpoint, nor do we write in any specific style: we just write. We also make sure that writers don’t see what the other has posted until it’s gone live, to make sure opinions aren’t filtered by their opposite’s piece. 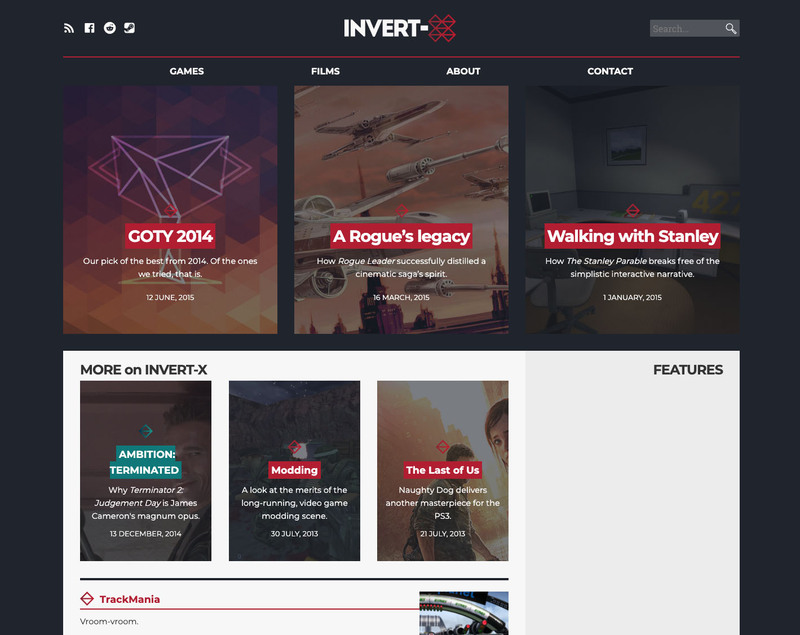 Invert-x was designed and constructed by myself, utilising WordPress as a backend.